The classy and versatile pink satin saree with contrast dark blue border which is embroidered with patches and zari work. 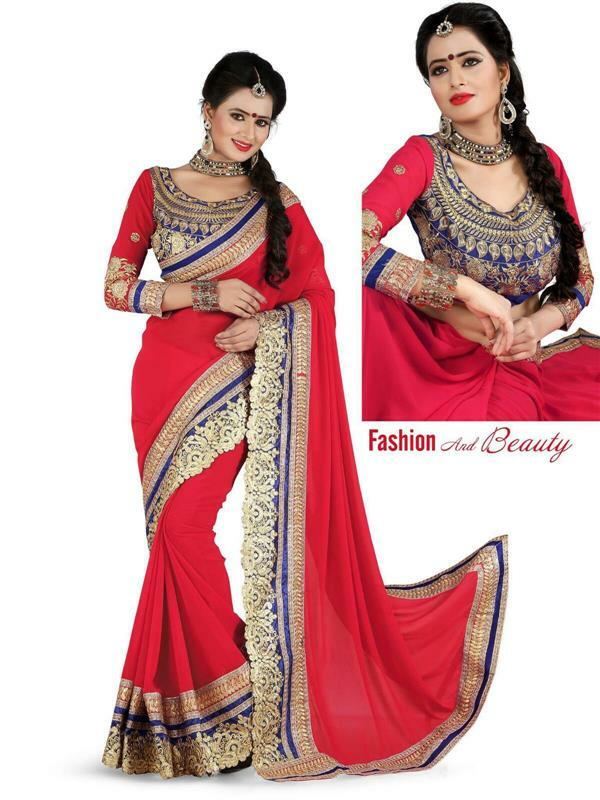 The pallu is decorated by double borders that enhance the beauty of saree. The matching blouse fabric is absolutely free with it.